Another review today! I don't normally read story compilations, but this one really drew my attention because it is GRIMM based. I LOVE fairytale retellings! 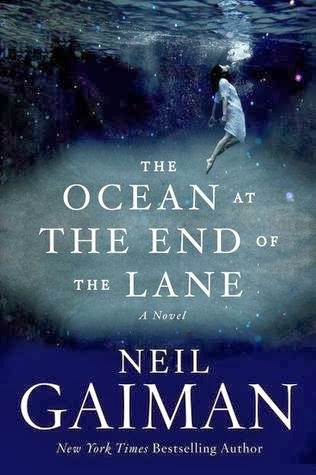 Now, I can't say that I was absolutely stunned by this book but it wasn't bad. Read on to get the full scoop. Short story compilations have always been a bit hard to review due to the many differing writing styles, perspectives, and creative qualities that each of the authors bring to the table. Some really step up, and others fall flat. 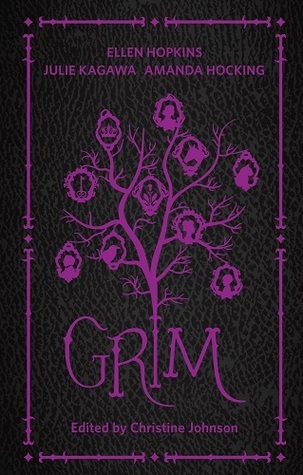 On a whole I would say that "GRIM" is certainly not the most unfortunate collection of short stories that I've ever read, but neither was it one of the better ones. In the case of this book I would say that there were definitely some shining gems! But they were unfortunately buried in piles of what I can only call mediocre retellings of these classically grim fairy tales. I would venture as far as to say that a few of the short stories weren't even retellings. No fascinating twists, no unexpected turns, no interesting little creative additions. They seemed to just follow straight along with the original fairytale with barely even a new little splash of color. Among the most interesting and well retold were Figment, The Twelfth Girl, and The Brothers Pigget. I would certainly recommend these short stories to a Grimm fan. A few of the shorts were somewhat convoluted as the authors attempted to gain the upper hand over the reader and "surprise" them with twist endings or unexpected events. In the majority of cases these twists and turns were predictable or just not exciting enough. Most all of the stories maintained some level of entertainment due to their resemblance to the originally loved Grimm stories. I have to say that I was expecting a little darker and a little grittier on many levels. Some of the stories seemed a bit reserved. I do realize that this is YA, but that hasn't stopped people from crossing the line into darker territory before. The darkness of the Grimm fairy tales wasn't just the violence or the discussion of death, it was the immense depth of meaning and the consideration that there are truly frightening and bizarre things out there in the world that can't be understood and that all of our actions have consequences. I just didn't feel that from these retellings. All in all the book was entertaining enough to read and there were certainly a few good stories that had me grinning and I was introduced to an author or two that I plan on checking in to. Read or not? I suggest giving it a try because there is quite a variety of voices, styles, and perspectives. That's one of the fun things about short story compilations, there just may be a little bit of something for everyone.